Measuring out our foam . . . Problem Solving at its best. Because of the orientation of the birds on the fabric we chose, we had to turn our large cushion into 2 cushions so the fabric would fit. It's getting there! We're still tweaking the craftsmanship of our cushions - the pulling on the left side irks me. And here's the bench in its current state! 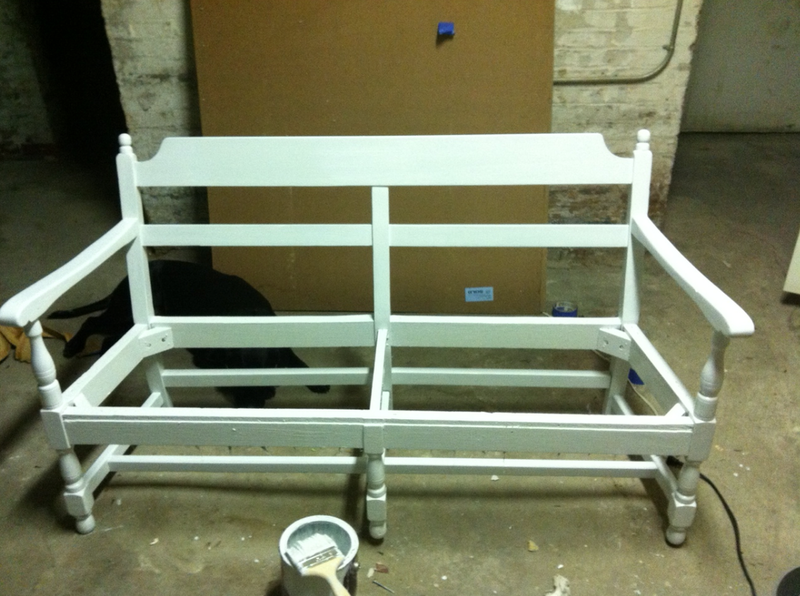 It's still a work in progress - we want to add nail head trim and final coat of poly to the wood. There's tweaking here and there we still need to do. But thats the update! We're still debating selling it vs. not selling it. What do you think? ?